With open space for every home, this tucked-away community is only a a few miles from the opening of Hyalite Canyon, and has gorgeous views of the Bridgers. Fly-flishing, skiing, trail systems, and wildlife watching are just a few parts of what makes this community so special! On the south side of Bozeman, this 70-home Ranch is truly a masterpiece. 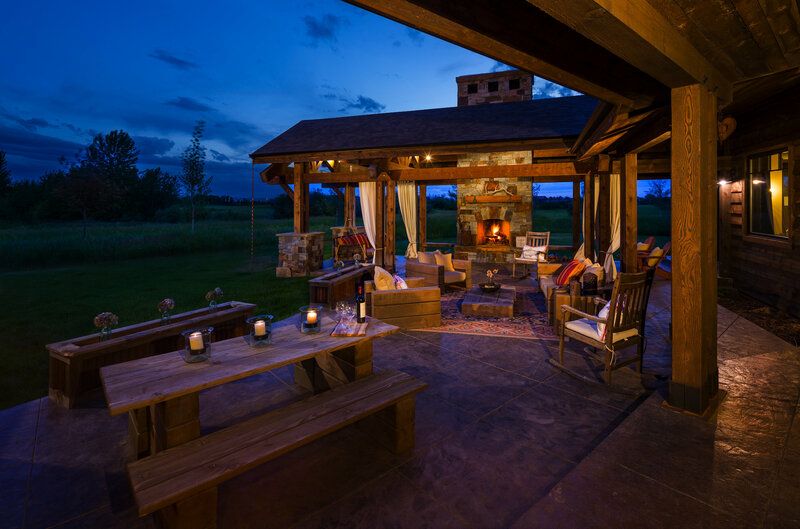 A private community located on the edge of Bozeman that was developed with the wilderness in mind. Over 70% of the area is dedicated to open space, which makes not only for views of our mountain ranges, but also for passing wildlife that occupy the area. Within the Ranch itself is over 4 miles of private trail systems that give you ample opportunity to take in the Montana outdoors right outside your door. 70 homesites are on over 330 acres with ample lot sizes, and you are only a short drive to the heart of Downtown Bozeman. Spend your afternoons cross-country skiing or playing outside your home, and be dining on Main Street that same afternoon! This community has carefully selected guidelines for homes and landscaping, as well as specified covenants to protect your views, investment, and the wilderness of Montana. Whether you want to purchase a one-of-a-kind residence that already occupies Green Hills Ranch, or plan your own customized home on an open lot, we at Engel & Völkers can help. Contact our office at 406.404.1960 for any other questions or advice!